So the other day I concluded that the sunroof motor was OK but the gearing was stuffed. Obviously this was no good as I had no real way of opening or closing the sunroof, or keeping it closed. As soon as I knew the sunroof motor (the gearing is part of the motor setup, so I’ll refer to it as motor from here on) was unable to be repaired, I got straight onto Gareth at SD1 Travelled Spares and got him to get a replacement on the way to me. The motor arrived today, so after work I set to work on getting it installed. Upon unboxing the motor, two things stood out. First, the new motor has a sweet original sticker indicating which way to crank to close the sunroof. My original doesn’t have that. 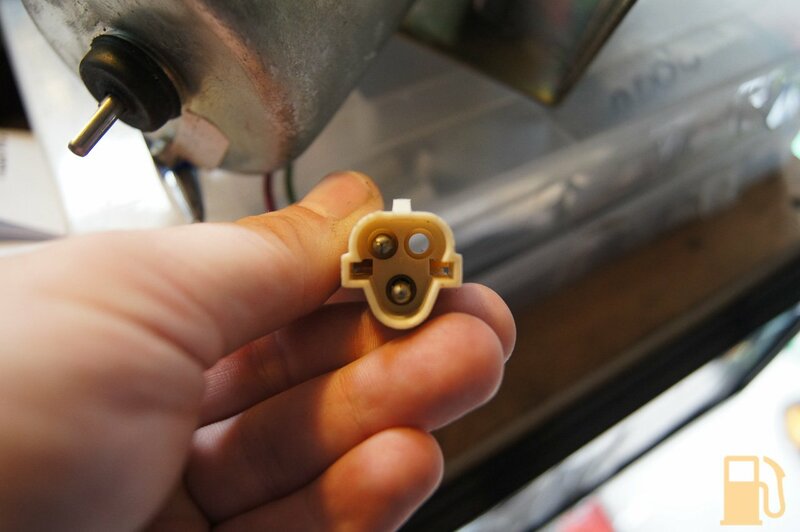 Secondly, the plug looked different. Upon testing though, it makes no difference and both plug into the loom correctly without modification. 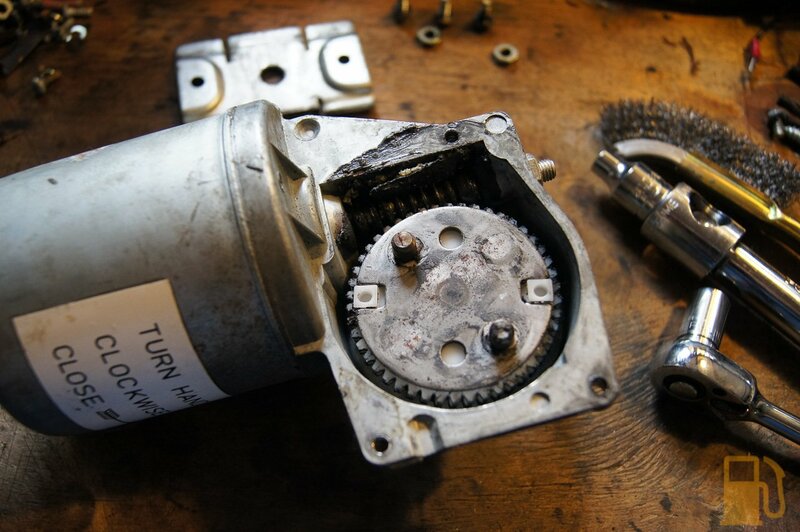 I decided to inspect the guts of the gearbox, and clean all the old grease out, and regrease it. Once again, removing the three screws and then the top housing comes off. The grease had turned hard, and was everywhere but on the gears. So I cleaned it off and applied new grease to the gears. 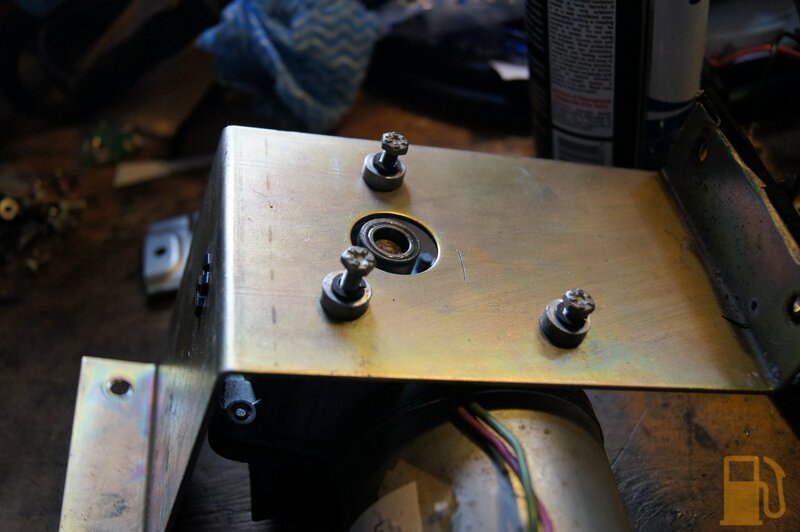 I sprayed a small amount of cavity wax where the motor bracket mounts to the body; it seemed like an area that might trap moisture in the future, so the wax will help reduce that risk. 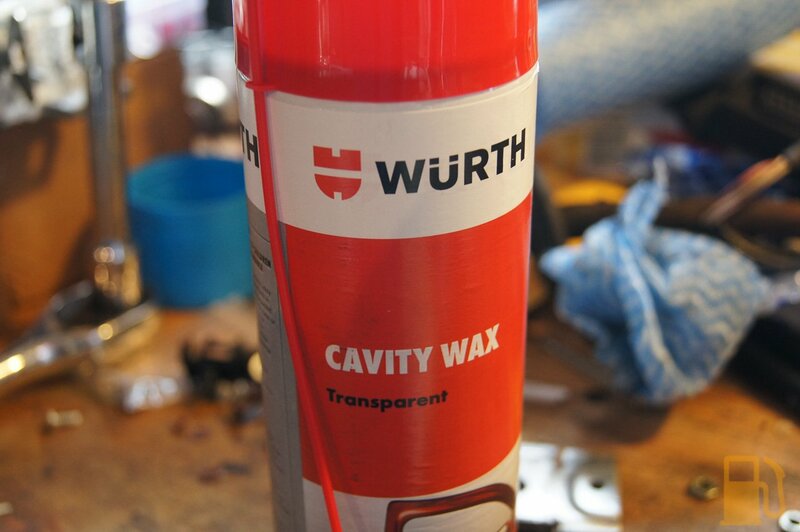 I also sprayed the cavity wax into various places around the rear panel, inside the reinforcing, for the same reason. 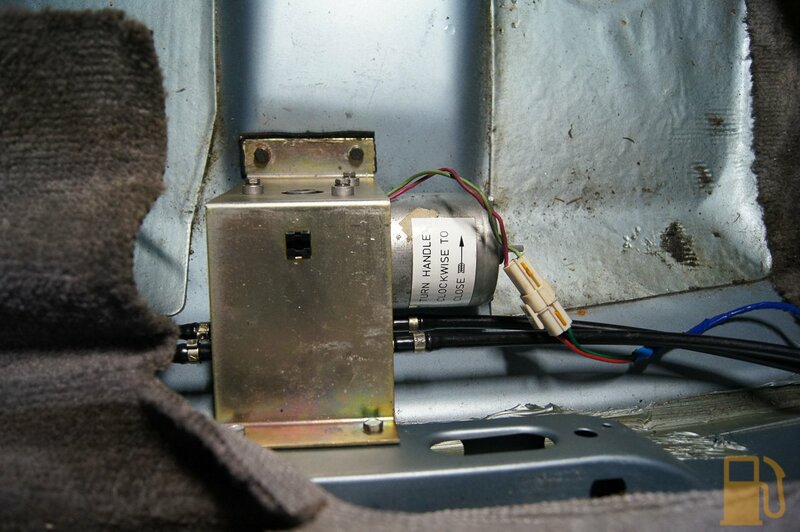 Once the cables are fitted, refitting the motor isn’t too hard. 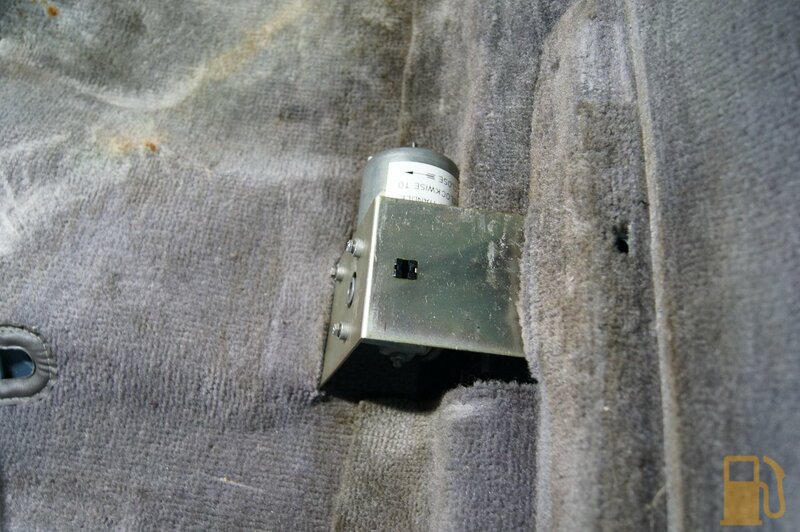 Two screws go into plastic screw retainers at the top, and two bolts go into a plate with captive nuts on the underside of the floor. My plate had come free from the boot floor and fell off when I removed the old motor, so I needed some creativity to hold the plate in place whilst installing the two bolts. Obviously my arms aren’t long enough to reach into the boot whilst holding the plate up from the underside of the boot. 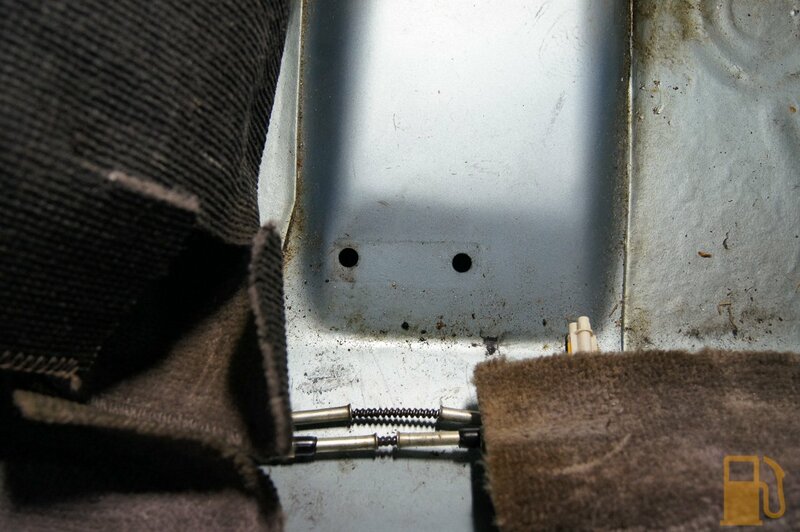 I dropped the two bolts through the holes, reached up under the car to hold the plate in place, and used a socket on a really long extension to reach the bolts and tighten them up into the plate. Easy. 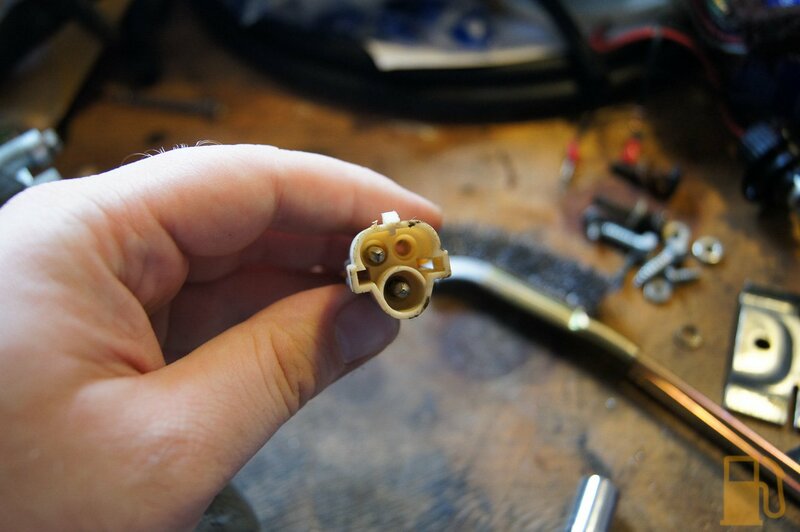 I made sure to test the motor with the hand crank first, to check the cables were engaged OK, and that they were fitted around the right way. I quickly found that I had in fact installed the cables back to front, so open was close and close was open. It was easy enough to swap the cables over so it operates correctly. 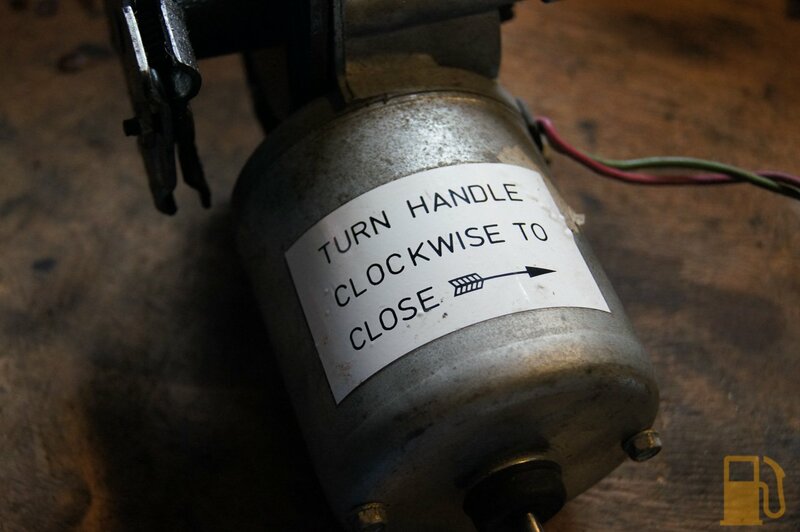 Once I was happy with the manual cranking, I plugged it in and hit the button. This was the result. 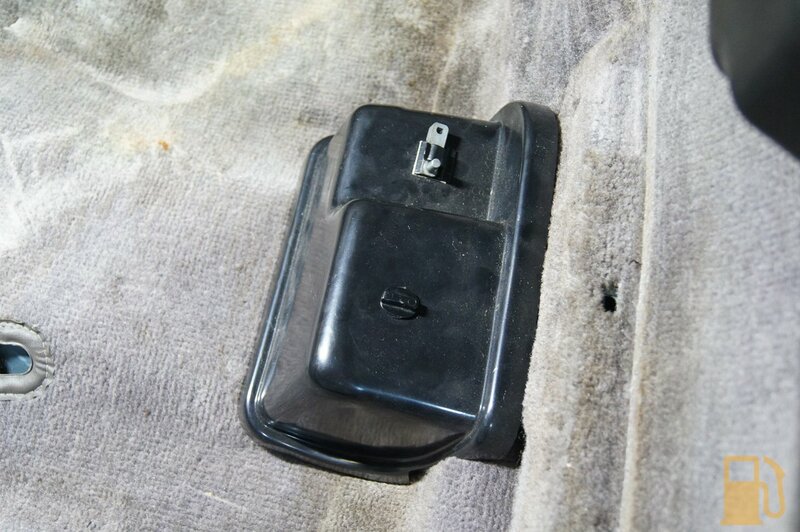 With ample grease applied to the rails, the sunroof opens and closes freely with no signs of binding. See, a little work and there was no need to kill the original motor in the first place. Maintenance. It’s also nice and quiet when it operates. 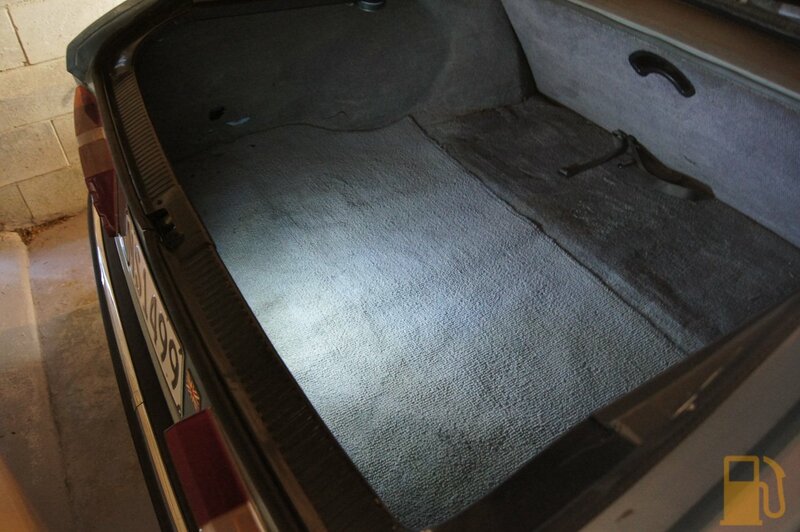 Knowing everything worked, I put all the carpeting back into the boot and made it look nice again. 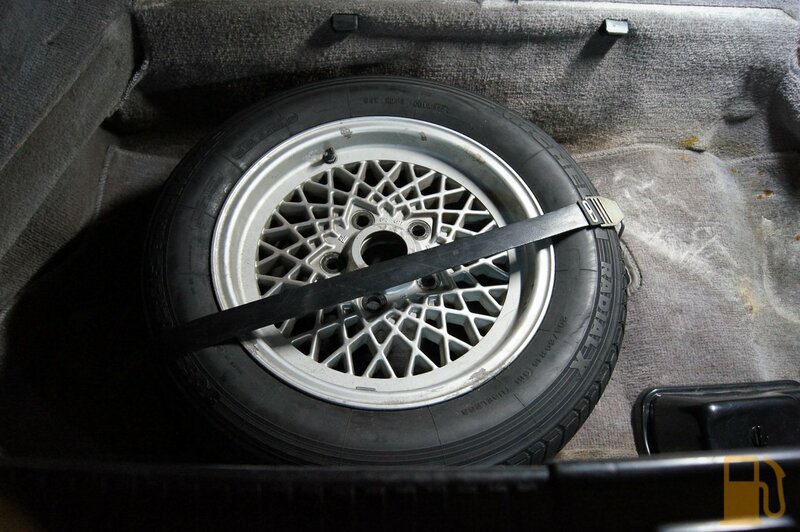 When refitting the spare wheel I noticed something that bothers me. 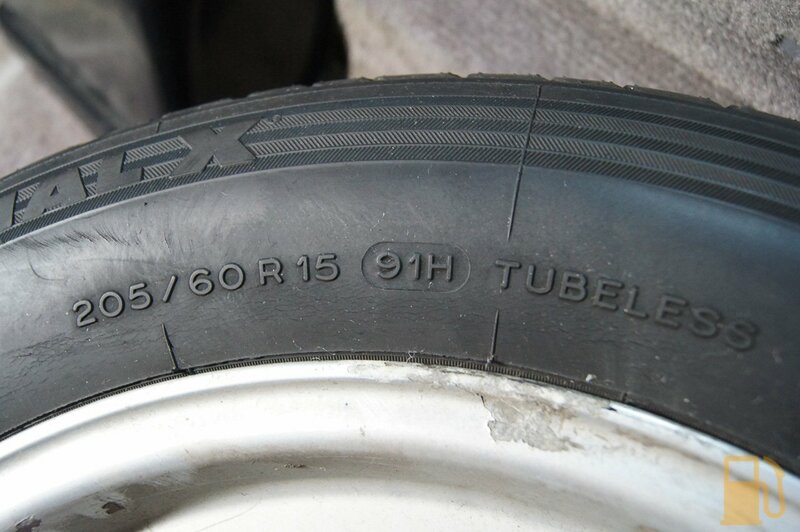 The tire on the spare wheel appears to be one of the ones that was taken off the car before I got it, because they weren’t safe….. it has dry rot in the rubber and its old as all hell. 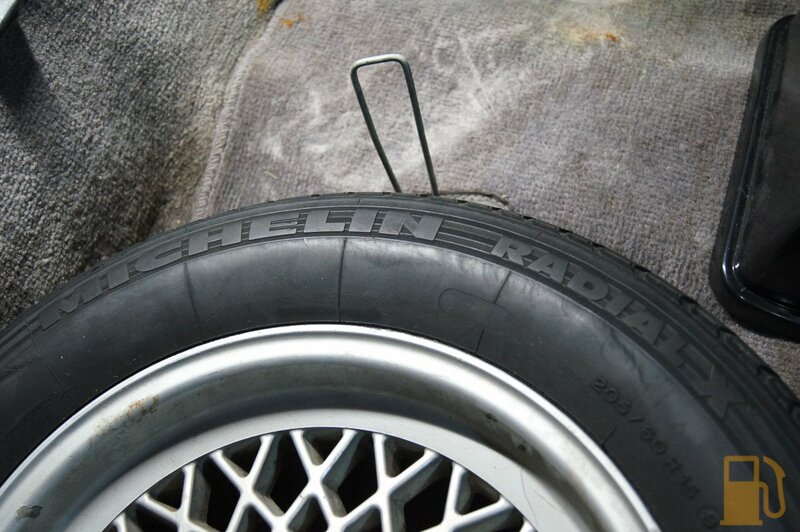 It has a new weight fitted to the front of the wheel like the others on the car, so its been done recently. I’ll need to replace this asap with something newer, so in the event that I need to use it, I can trust it. 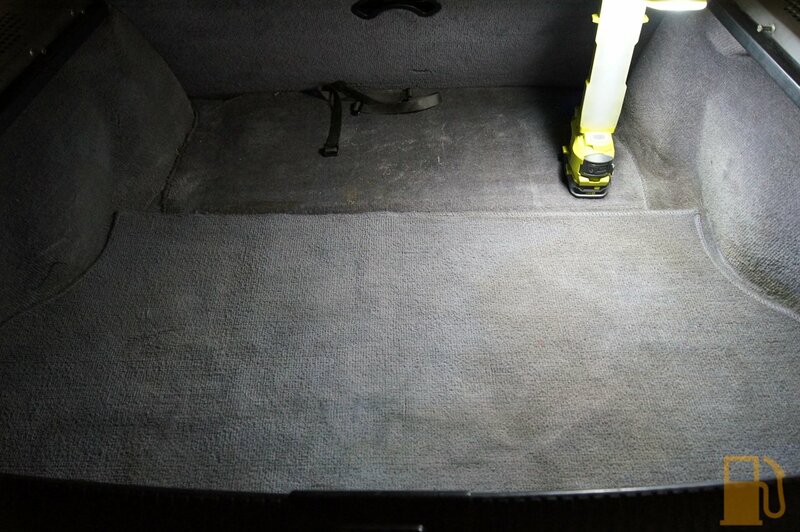 All the boot boards and carpet went in, and it looked like a car again. For reference, this is what the boot looks like with just the LED boot light lighting it. Its pretty effective. So with that, I’m one step closer to having everything in the car working. This was a major one; what’s the point in having a sunroof if it doesn’t work? Oh and since the sunroof is now closed, and sealed, the Rover has moved back outside, under its car cover (to try and reduce the amount of pine needles attacking the car). Time will tell how well this cover survives, and whether the wind will pull it off like the one I tried on the Prelude years ago. It better be good, it’s retail price is over $300! 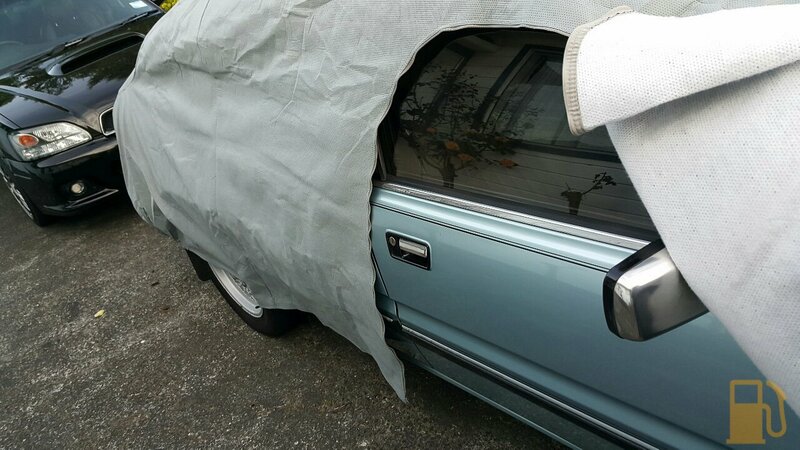 It has this sweet zippered door flap too, to allow access into the car without having to remove the cover completely. Time for some open top cruising (if the weather ever clears up and shows the season it claims to be; summer). Previous Post Rover SD1, The Small Details.